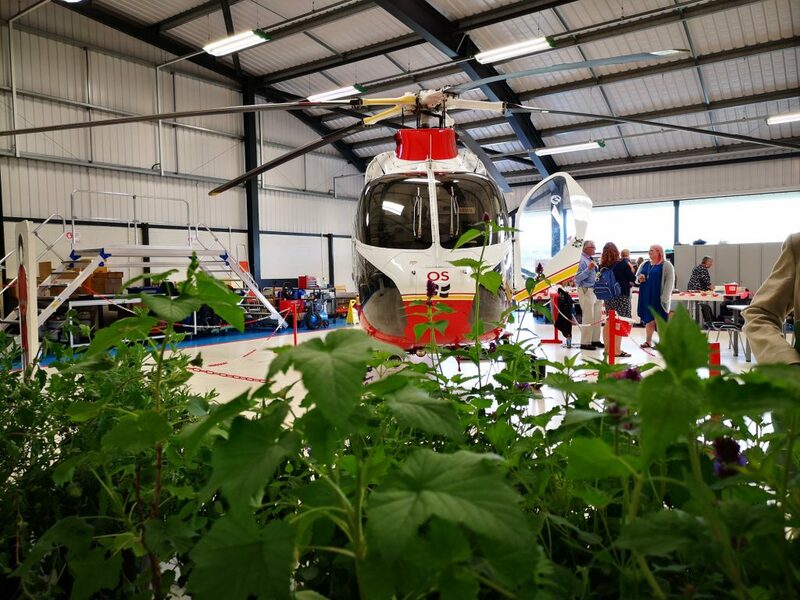 More than 600 garden lovers flocked to Cornwall Air Ambulance headquarters for the lifesaving charity’s Spring Plant Sale which raised more than £3,700. The annual sale is now a must-see event for green-fingered folk across Cornwall who jump at the chance to buy garden-centre plants at bargain prices. This year proved no exception as a queue of people snaked around the airbase near Newquay, before the doors opened at 11am on Sunday 21 May. Plants generously donated by more than 20 garden centres and nurseries from across Cornwall were quickly snapped up as sale-goers grabbed bargains for their gardens. Visitors also had the opportunity to see the helicopter, meet the crew and find out about the charity’s £2.5m New Heli Appeal, which aims to bring a next generation air ambulance helicopter to Cornwall and the Isles of Scilly by April 2020. Pete Storer, Cornwall Air Ambulance Critical Care Paramedic, said: “We love opening the doors of the airbase and inviting people to come and see the difference their support makes. By supporting events like the plant sale, people are funding the lifesaving missions that myself and my crew mates carry out. “It was also great to see how excited people are about the New Heli Appeal and hear about their plans to help raise the £2.5m needed to buy the next generation AW169 helicopter that will help us save more time and more lives. There will plenty of opportunities in the coming months to find out more about the New Heli Appeal and join the mission to bring a next generation air ambulance helicopter to Cornwall, including at the Royal Cornwall Show. Cornwall Air Ambulance will be at stand 483 on 7, 8 and 9 June. To donate to the New Heli Appeal, visit cornwallairambulancetrust.org/donate.